If you've never bought a side (1/2) or 1/4 of a cow from a farmer before you may be in for a surprise when you get the final bill. There is more to it than just the hanging weight price that you are quoted from by the farmer. There are also killing fees, butcher cut and wrap fees and possibly tax on the butcher fees depending where you live. I'm hoping this information will give you a good idea of what to expect without being too confusing. We ended up splitting the 1/4 cow with someone else. Being this is the first time buying meat like this, I didn't think it would all fit in my freezer. When we brought it home though we could have kept it all and it would have fit in the freezer with no problem. Since we got all ground beef they stack up nicely. A live cow before slaughter can weigh between 1,000 and 1,800 pounds. The farmer may or may not give you this information. This is the weight of the slaughtered cow (head, hide, blood, unusable organs, and hooves removed) that is hung before it is dry-aged. Hanging weight can be between 600 and 1,000 pounds (approximately 60% of the live weight). This is the weight the farmer will typically charge you for and is usually between $3.00-$4.00/lb. Cut and wrap fees from the butcher also use this weight and can charge between .40-.80/lb for the cut/wrap fee. This is the weight you actually take home that the butcher has cut and wrapped for you. It will vary based on what cuts you get as well as the breed and if the cow was grass fed or not. This is usually between 50-70% of the hanging weight. If you want the bones or any organs, you will need to let the butcher know. 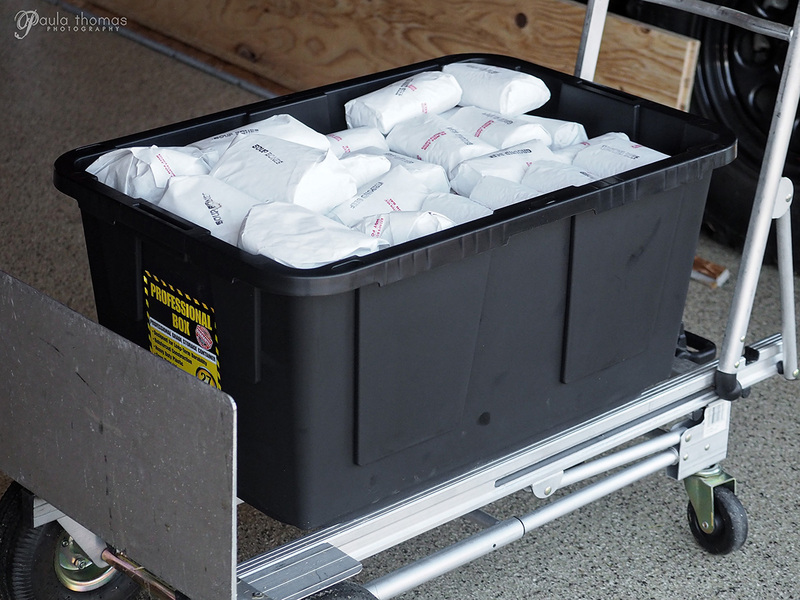 This is what the 1/4 cow processed in all ground beef along with 14 lbs of bones looks like. It didn't take up as much space as we thought it would. I thought they would charge extra for the bones but they didn't appear to.